Royal Philips today announced its sponsorship of the documentary COPD: Highly Illogical – Remembering Leonard Nimoy. The documentary seeks to educate viewers about COPD through Leonard Nimoy's personal story of courage, while also providing the latest information about treatments for the chronic disease. Complex respiratory illnesses including asthma and COPD are on the rise. In fact, COPD is estimated to affect 24 million adults, with more than half not knowing they have the illness despite exhibiting symptoms. In the United States alone, 120,000 people die from COPD each year. With more than three million deaths annually, COPD is expected to be the third leading cause of death worldwide in the next fifteen years, more than breast cancer, colorectal cancer and prostate cancer combined, as predicted by the World Health Organization. 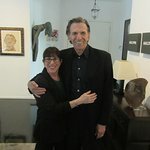 Produced by Nimoy’s daughter, Julie Nimoy, and her husband, David Knight of Health Point Productions, COPD: Highly Illogical reveals the last few months of the famed actor’s life, which was claimed by the disease in February of last year. Nimoy’s COPD stemmed from both his smoking addiction and the fact that his decade-long struggle with the disease wasn’t officially diagnosed until 2013, when it was past the point of effective treatment. For more than 25 years, Philips has been shaping the future of care for those with COPD. Offering people-centric innovations designed to empower patients to live full and active lives with COPD, Philips is making what was once science fiction, a reality. Among Philips’ recent innovations in respiratory care is the SimplyGo Mini portable oxygen concentrator, one of the smallest and lightest POCs on the market, as well as Care Orchestrator, a healthcare management application enabling enhanced connectivity and care for patients in the home. Philips will showcase its latest COPD and respiratory solutions at the upcoming European Respiratory Society International Congress (ERS) in London, from September 3-7. 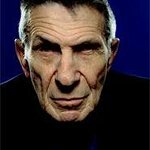 Further details on the production of COPD: Highly Illogical – Remembering Leonard Nimoy will also be available. To learn more about the documentary and view the trailer, click here.